PARIS–With a dwindling turnover (10 % every year for the past 5 years) and tough competition from giant groups like Amazon, the situation of French bookstores seems bleak. Still, there is a resistance front. Although almost disappearing in the UK and the United States, France still counts around 2,500 stores that sell books as a main activity. What could explain this economic exception? In the UK and the United States, bookstore owners are about ready to turn the page. According to a New York Times report, the American company Amazon sells 41 % of new books and owns 65 % of the book market shares in the US. Kindle Unlimited, the last Amazon hit, is a kind of Netflix for books. It gives unlimited access to digital books for as little as $9.99 a month. This option hasn’t reached France yet. In France, the digital books market is lead by the startup Youboox which proposes an online library of 55,000 titles to its 4 millions of members. Despite the increasing pressure, what can explain the sustainability of the bookstores? Their survival relies on French legislation. A law entitled “anti-Amazon”, has been passed recently. Since July 8, this law forbids companies to offer book shipping free of charge. 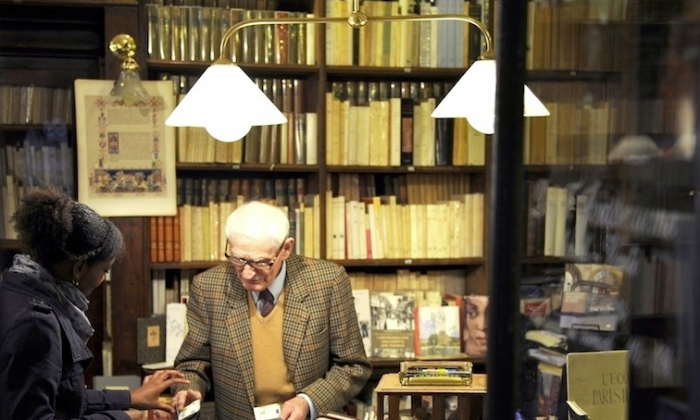 This measure was largely approved of by the French Senate on June 26 and adds to a series of laws trying to protect small bookstores from the giant companies. In 1981, the Lang Law set a unique price for books: the price is fixed by the editor and discounts can’t exceed 5 %. When selling books, the booksellers can also request editors to give them a larger part of the benefits.